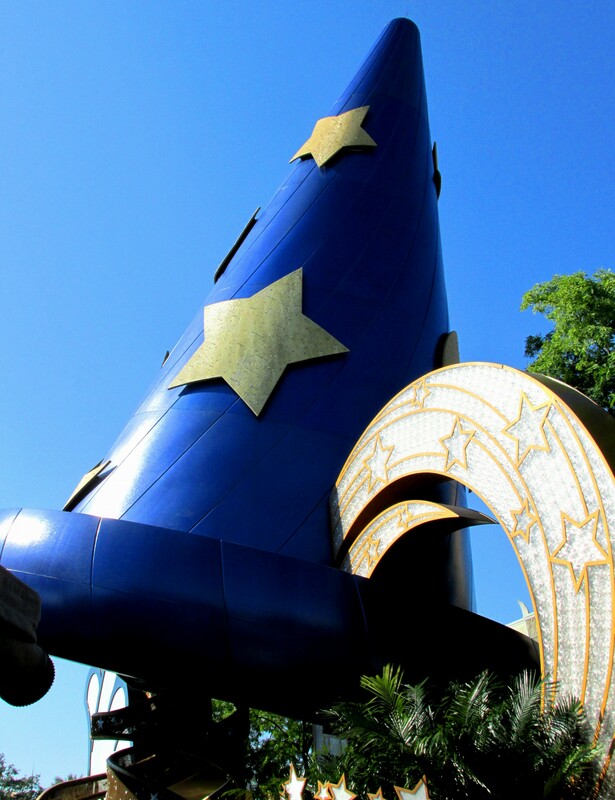 Did you know the Sorcerer Mickey Hat located in Disney’s Hollywood Studios is 100 feet tall which if wearable equates to a size 605 7/8? Mickey Mouse would need to be about 350 feet tall in order to sport this hat! Like the Magic Hat, especially when Donald wears it and things go crazy ! !